What skills to I need to be a homicide investigator? Chris Adams is an experienced criminal investigator who worked on homicide cases in the Met for many years. Now retired, he is looking for opportunities to work as an investigator on major national inquiries. Here he describes some of the attributes that anyone looking to become a homicide detective should have. “You need to have a natural interest in investigations, and you need to want to be a detective. “You also need to have attention to detail, and you need to be able to both elicit information that you want and interpret that information. “To be a detective constable you will undertake an initial detective course – a six week course – where you will learn about case law and will receive in-depth CID training. “There is also a two or three week exhibits officer course about managing the exhibits system in terms of the computer system, forensics exhibit retrieval, working with crime scene managers to learn how to correctly manage a scene and retrieve evidence as well as how to bag it and secure it. “I think the problem these days with – and I use the term loosely – general detective work is that you have detectives dealing with the everyday assaults, thefts, burglaries and robberies. They have so much to deal with that a lot of the time it’s like a sausage factory. “With homicide detective work you do get the time to devote to it, and that will definitely enhance your skills. You are dealing with very serious offences and sometimes very interesting ones, and you do need to think a little bit more about what has happened rather than just trying to get a statement and trying to get a decision from CPS. “You are working as part of team, feeding off each other. It could be that you are the person who is responsible for finding that one piece of information that then sort of snowballs into being the key piece of evidence. “Of course, the main reward is getting a conviction in court and getting that person locked up. No sentence, irrespective of how long it is, will ever make up for loss of a loved one, but it does bring a certain amount of closure. “Sometimes the hours can be very long and unsociable. You can be seeing and hearing things that are very difficult to see and hear for lot of people, and seeing scenes you won’t necessarily want to see. “You’ll be sat in rooms and sat across interview tables with people you really don’t want to be being nice to, but you have to be. “I would say if you decide this is the line of work you want to go into, you need to do everything proactively that you can to put yourself forward. Now that I’ve left the police service and I’m looking for another job, I call it networking, but we would have never called it networking in the police service. However, you have to put yourself forward. “If you’re interested in the murder command, let people know. Go and speak to the murder command. Ask if you can come and do an attachment with them. 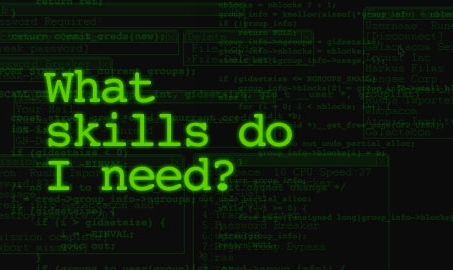 What skills do I need to join a cyber crime unit?